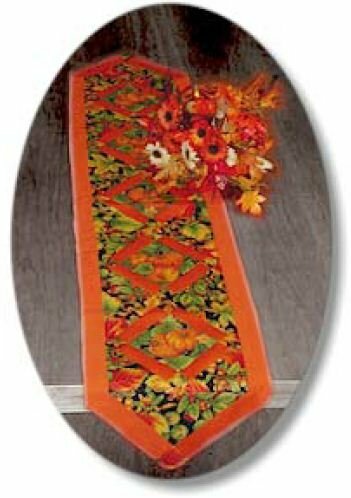 Take a look at this gorgeous table runner! This design is suitable for Thanksgiving and Christmas, and will be a fun project. It may be difficult to find the original fabrics by Cranston specified by Theresa in her instructions, but we're sure you'll enjoy substituting your own favorites! Have fun! Finished Size: 11" x 54"
Do you like this project by Theresa Romeo?